According to the U.S. Department of Energy, the energy required to cool and heat a home accounts for more than half of the home's annual energy consumption. Attic Comfort specializes in state-of-the-art Energy Saving Technologies designed to save you as much as 30% or more on your annual cooling and heating costs. Until recently, most energy saving components installed in attics were designed to combat the effects of a hot attic rather than prevent the attic from getting hot in the first place. 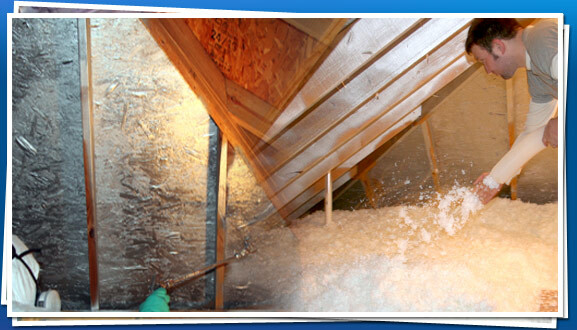 The Comfortable Attic Program by Attic Comfort integrates three proven technologies to minimize the temperature of your attic in the summertime and reduce heat loss and prevent the damaging effects of moisture buildup during colder months. As a result, less heat will enter your home's living space and your HVAC system, ductwork, and insulation will work more efficiently, thus reducing your home's energy consumption and costs. The physics of heat transfer tells us that heat travels primarily by one of three ways - radiation, conduction and convection. The Comfortable Attic Program integrates an easy three step solution that addresses each of these to make your attic and home more energy efficient.